Just as things were getting uncomfortably cold around here in January, we embarked on a hosted trip and an adventure to the other side of the planet. Argentina, where our January is their July, is one of my favorite fly fishing destinations. Better known as a trout fisher's paradise, I planned a return trip to chase the region's Golden Dorado; a migratory apex predator that eats giant streamers and spends a fair amount of time airborne when hooked. 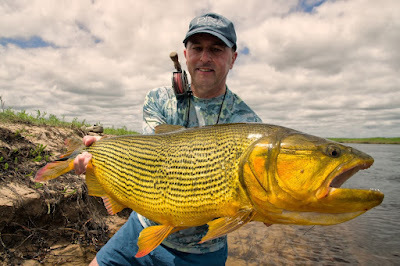 Lots of fun on a fly rod for sure! 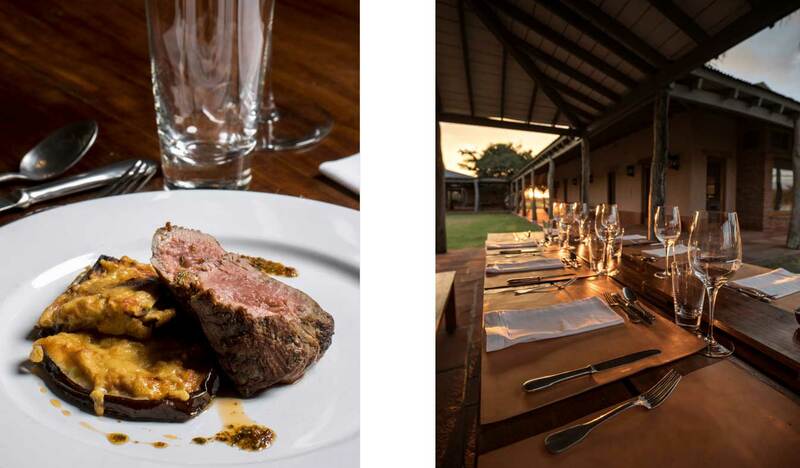 The Pira Lodge, where we stayed, is an absolutely wonderful upscale fly fishing lodge owned and operated by the Nervous Waters Group out of Argentina. They have created a spectacularly comfortable home base in truly wild and remote part of the world. The accommodations were comfortable and spacious. The rooms all had comfortable double beds, a/c, spacious bathrooms and everything one needs to relax. The bar, great room and dining facilities were rustically elegant and made it easy for the group to spend quality time together, yet offered plenty of space to spread out and find solitude if desired. 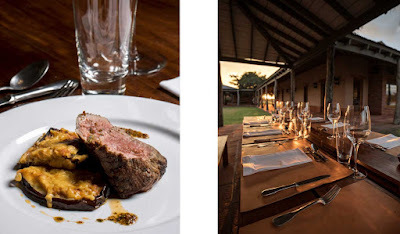 The food was spectacular and obviously is a focal point of all Nervous Waters operations. Do not plan on losing any weight down here! Wonderful appetizers before lunch and dinner, paired wines and deserts to order. They have wonderful chefs - not camp cooks..... I guess if you are a vegetarian, you might struggle with the food a bit, but from my perspective, meat and lots side dishes is good living. The guides are professionals with a knowledge and genuine understanding of the area and of the species found here. Top notch, really friendly and interesting people as well! The entire staff are first rate and really strive to provide their guests "A higher form of fishing". 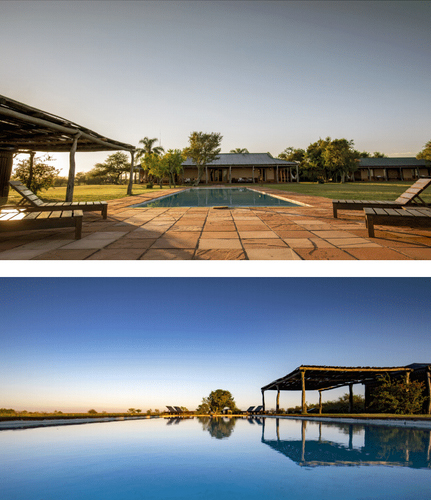 This is the 3rd Nervous Waters Property which we will now act as booking agent for and a destination you should put on your bucket list. It was easy to forget how remote of a location this place is when all of the comforts of home and then some were at your disposal. A mere 150 yards out the back door of our rooms was the dock that housed 5 perfect flats skiffs equipped with 40 HP outboards. Normally associated with "flats fishing" the skiffs were a fantastic bonus here at Pira - and provided access to and comfortable fishing conditions at each day's fishing destination! This area is not know for monster dorado. 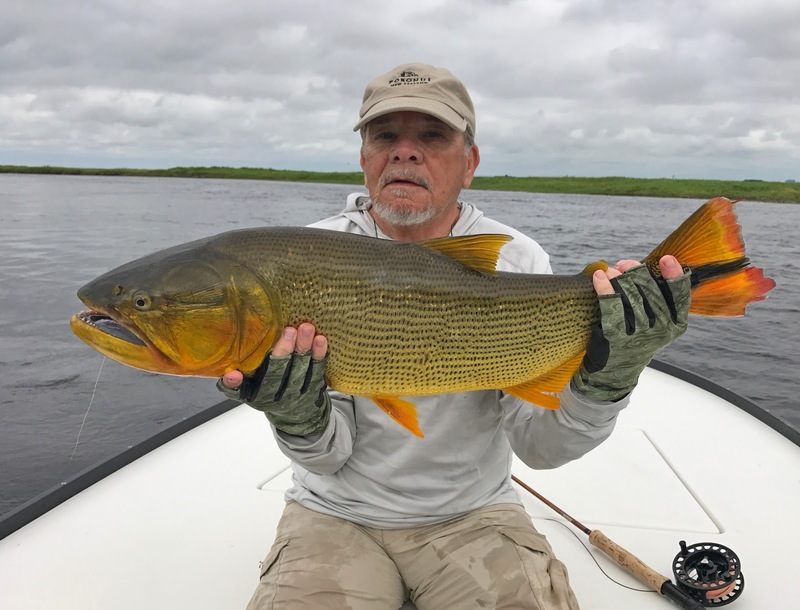 If you are looking for the giant 20-40 lb and much larger fish, the Parana River, or Bolivian watersheds are a better bet. This place is know for "smaller" quarry, if you consider 5-10 lb "small". We experience dorados from the 2- 15 pound range, and can promise you that a 7-10 lb fish on a 6 or 7 wt is one that you will not forget any time soon. 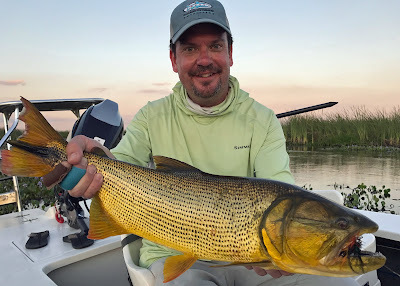 For me, the appeal of fishing here is that you have access to 2 very distinct fisheries (marsh or open river), can use lighter tackle (6-8 wts), see a decent variety of species of fish, and generally encounter larger numbers of dorado. 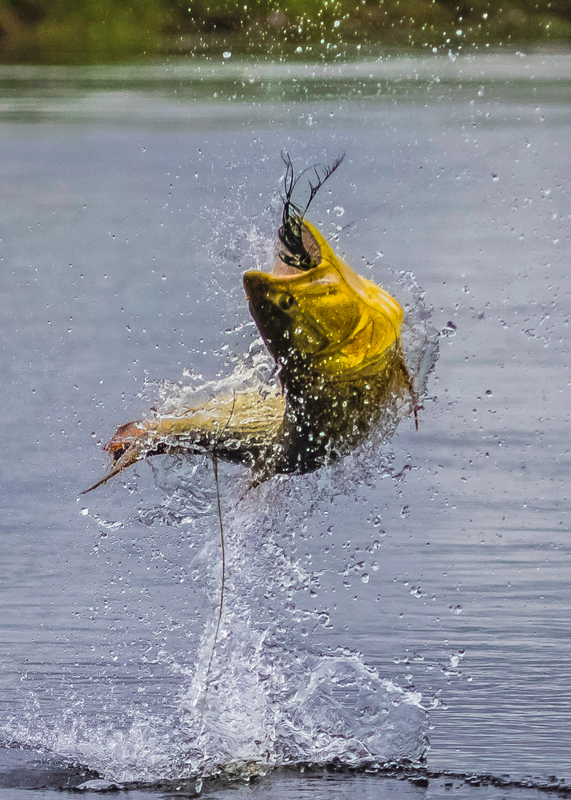 I almost hesitate to talk about numbers of fish as the dorado are a migratory species, and a moody one at that, but the numbers tend to be higher here than other Dorado fisheries. I have fished other ares/rivers where 1 to 4 fish a day is considered a great day. Our experience here was unusually good and much more productive than I had experienced before (lucky timing). 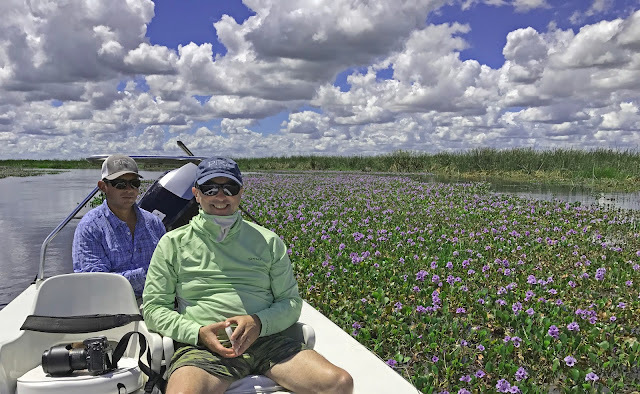 Fishing consists of two very different options on a daily basis: Look for "bigger" fish in the Corrientes River or fish the maze of marshes for more visual and targeted structure fishery. 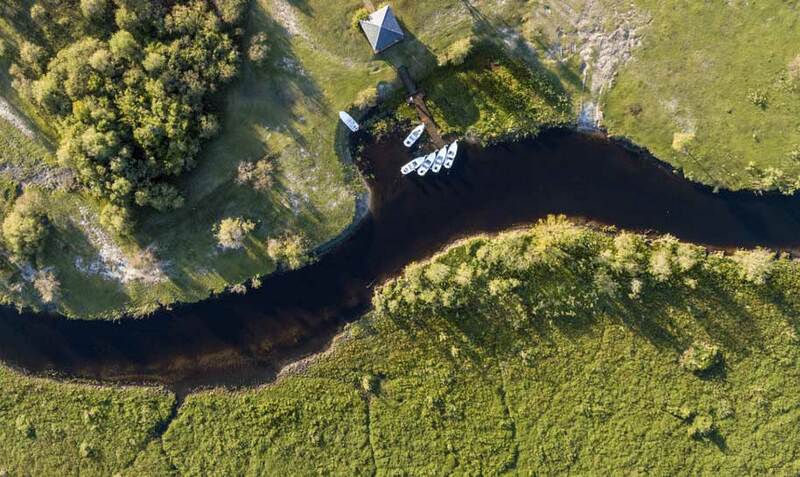 A right turn from the dock put you on the way to the maze of channels and ponds that comprise the "marsh". A left turn got you started towards the open Corrientes River. The fishing technique in the open 50-100" wide river was very similar to swinging for steelhead. You basically cast 275-300 grain sinking lines with a 7 or 8 wt rod towards the opposite bank, and swung 5-7" streamers. The guides "polled" their flats skiffs up and down deep banks and helped us cover water wher we often found groups of active fish. Once located, we all became instantly addicted to "the tug" or less than subtle "strike". The average fish jumped soon and often, and the teeth on these fish did grievous harm to flies and wire leaders! 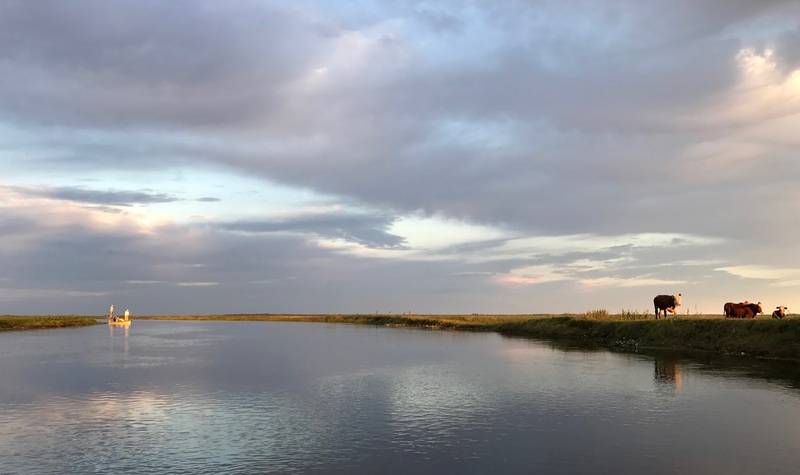 The marsh fishing usually consisted of throwing 6 and 7 wts with floating lines and slightly smaller streamers to structure and places that looked "fishy". I can't tell you which I preferred as both were awesome! Strip sets were essential to hook the toothy fish, and 30-40 lb mono tipped with 30 to 40 wire did the trick. Sometimes, the stars and planets align perfectly and plans just work out better than expected. This trip was one of those times! Thanks to the staff , the chefs and guides (Jose, Fabian, Jose the younger and Francois ) of Pira Lodge for a wonderful week! I'm finishing with a few random shots from our stay - enjoy! If you have any interest is joining us next year or want to plan a trip on your own or with some friends, call me and I would be happy to assist!